Our clients find the Nesholm Family Lecture Hall the ideal space for small to mid-sized meetings and presentations. 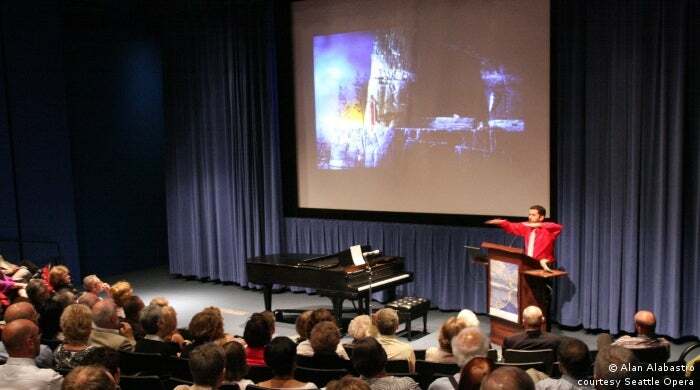 This space features an intimate auditorium with 380 seats, sophisticated audio-visual capabilities, and acoustics designed specifically for spoken-word. 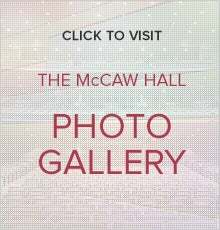 The hall can function as a stand-alone space, or be combined with one or more of McCaw Hall’s donor rooms and/or lobby spaces for pre-or post meeting receptions or as “break-out” spaces during your meeting. 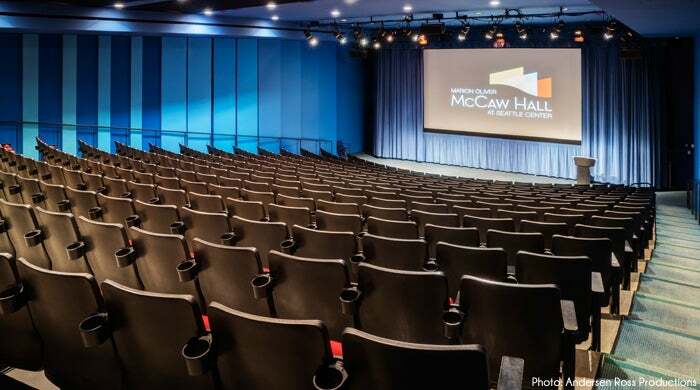 With its tiered seating levels, the Susan Brotman Auditorium is perfectly suited for larger meetings with groups of 400 to 2,900. Its high-end finishes, dramatic color scheme, and stunning main curtain lend an air of class and sophistication to any event. 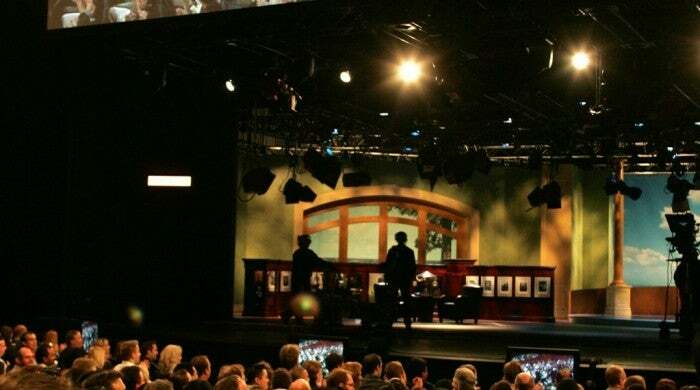 Supported by our highly skilled staff, the state-of-the-art technical equipment and systems can easily accommodate the most complex production elements, including multiple video components originating live, via satellite and/or via high-speed internet connection. Our dramatic four-story serpentine glass wall forms a stunning backdrop for meetings in our Grand Lobby, complimented by the vibrant colors of the lobby’s rich finishes. 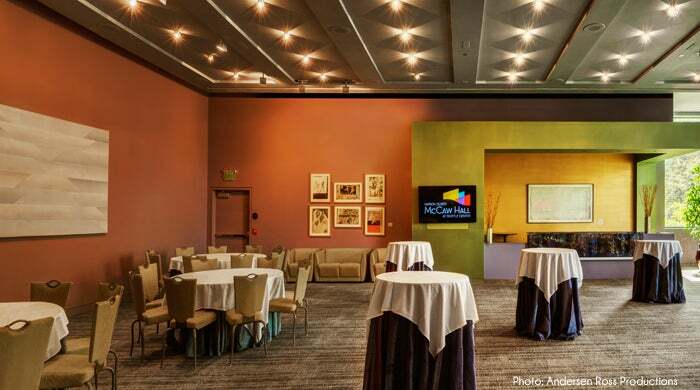 This space easily accommodates a variety of meeting configurations for up to 325. 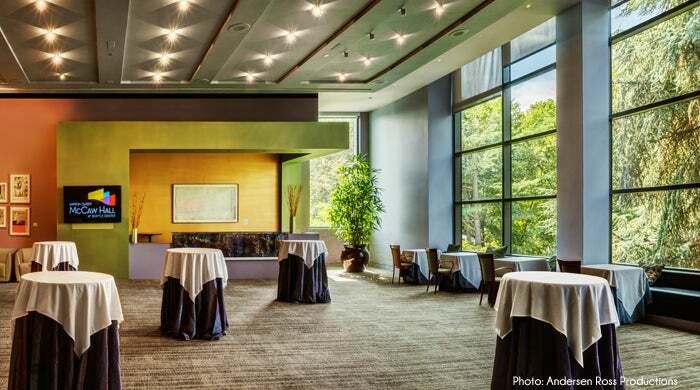 Kreielsheimer Promenade entry lobby, adjacent to the Grand Lobby, allows us to accommodate trade-show and industry and social events, such as wine tastings. 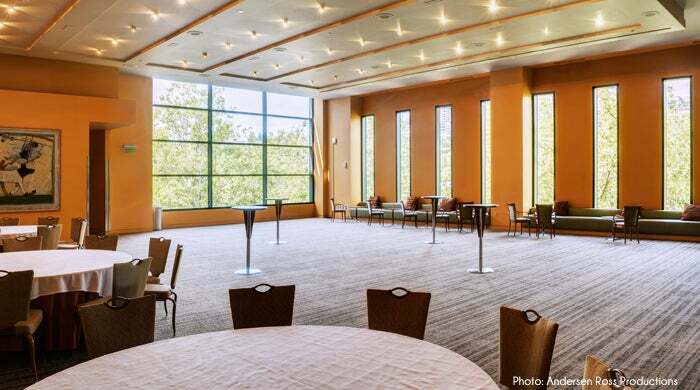 For more intimate meetings of up to 200, the Allen Foundation for the Arts Room, the Norcliffe Room, or the Neukom Family Second Tier lobby are perfect, either as stand-alone spaces, or in combination with other spaces in the Hall. Whether you’ve planned hundreds of meetings or none at all, our experienced and customer-focused staff will assist you at every step in the process. 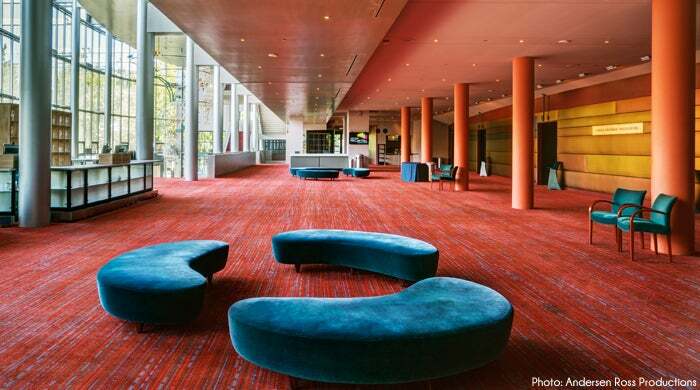 Our sales staff will help you decide which spaces here at McCaw Hall will ensure your event’s success. Our exclusive caterer, Spectra Food Services & Hospitality, provides an exquisite food and beverage experience for your meeting. Visit Catering for more information. 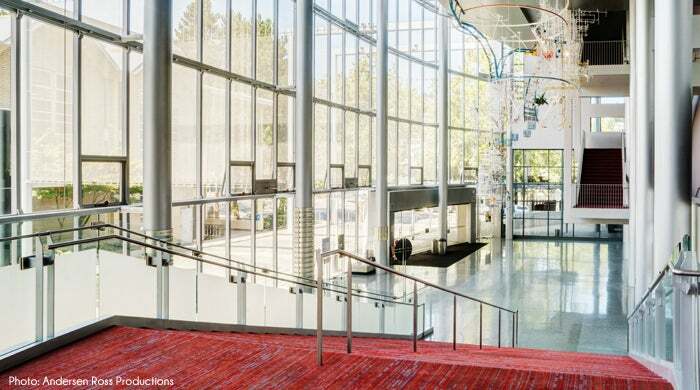 Each year, we host over 50 different corporate, non-profit and community meetings here at McCaw Hall – for a diverse list of clients such as: Amazon, Northwest Renal Society, Microsoft, Neighborcare Health Alliance, Bill and Melinda Gates Foundation, Premera Blue Cross, and Starbucks. 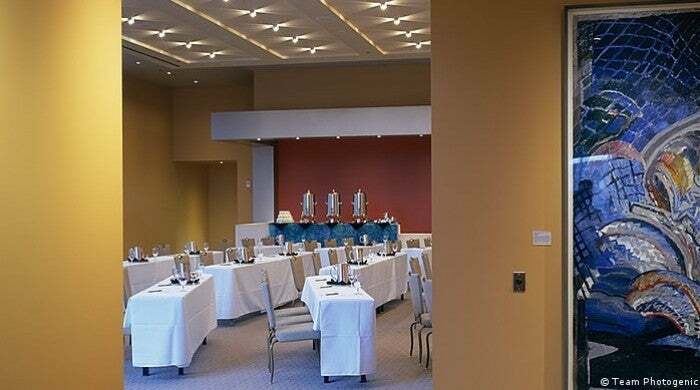 Events range from a 25 person breakfast meeting in one of our donor rooms, to the Starbucks annual shareholders meeting. 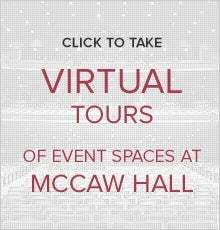 We invite you to join these clients and experience the flexibility, elegance, value and customer service focus they’ve enjoyed for their meetings and events at the Hall. For more information, please complete our Rental Inquiries form, or contact Ryan Davis at 206-684-7103, [email protected].